The question is: Did an IP represent a person or entity? The answer is NO. An IP is not a social id number, an IP is just an address that represent a connection and that's it. An IP could be used by many entities over time or shared by many at one time. Before starting to use this program you must know that an IP could not be linked to a person. It means that if an IP is malicious that doesn't mean the person that is using it has anything to do with the malicious intent of that IP. Usually those that are using an IP for malicious purposes are hiding. It requires a deep forensic analysis to link person intent to a malicious IP. This could be done only by authorities which have legal meaning to do it and get the data needed to find the real person behind a malicious IP. That is because IPs are used and reused by many entities giving the way it is allocated. More than that, an IP could be shared by multiple servers owned by different entities. If one server is malicious that IP is flagged. This is why linking a bad IP to a person is simply wrong. I recommend caution on judging people based on the information provided by this program or any other services available on the Internet that provide this kind of information. It's a wild world out there. Want to know the status of an IP address? Let IP info Detective investigate it for you. Private I report will give you detailed information regarding the IP address in question. in order to prevent, correct or defend ourselves or others in situations like using p2p networks, irc, chat, social networking or other internet activities. Be vigilant, stay safe and try to avoid illegal activities on the Internet! Investigate an entire range or network for suspected IP(s). Host name/IP Lookup( lookup may vary based on your ISP's DNS). IP geo location - show IP location on Google Maps and other information, like City Name, Area Code, Postal Code, Latitude, Longitude, Maidenhead and others. Just click on the pinpoint marker to view additional data. ( This product includes GeoLite data created by MaxMind, available from http://maxmind.com/ ). To use this application an internet connection is required. From Menu->Lookup dialog press QR Scan button. You need a barcode scan program to be installed on your phone( e.q. Google Googles or Barcode Scanner), if you don't have a barcode scanner program installed on you phone, you will be prompted to install one. The scan window will be launched, waiting for a QR image to decode. Just point your phone camera to the QR image found on your PC monitor. 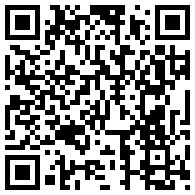 To generate a QR image we suggest to try Zint Barcode Generator. It's a free barcode generator for Windows and Linux. Just enter the URL, host name or IP on Zint Barcode Generator editbox and select from drop down box to generate QR Code(ISO 18004). Thats it. Scan the image and the text you entered on Zint will be copied on IP info Detective Lookup dialog editbox. The content provided by this software is for your general information and use only. IP Info Detective uses information from third party lists and databases( see credits). DoubleR SOFTWARE does not guarantee the accuracy or quality of this information available. to the correctness of information provided by this software. ( This product includes GeoLite data created by MaxMind, available from http://maxmind.com/). If you like this program and wish to donate to suport my work, you're most welcome! Your donation will encourage me to continue my programming endeavour in Android world.